The most famous piece of visual art inspired by Ulysses is Eve Arnold's photo, from 1955, of Marilyn Monroe reading a copy in a Long Island playground. The 20th-century’s sexiest woman has made it to the final pages of the 20th-century’s greatest novel. The implication being, first, that she’s no dumb blonde; and second, that Ulysses is a book not just for scholars but for everyone. Judging by the paucity of art-work inspired by Joyce’s tale, though, in the 81 years since publication, it certainly doesn’t seem a book for artists. The conclusion might be that, like Matisse, they’ve found it too hard to grasp, let alone interpret: put off, quite understandably, by the stylistic complexity and multi-layered references. Yet, this is to underplay Joyce’s own personal disdain for the visual arts. Unlike Proust, who littered À la recherche du temps perdu with references to painters and paintings, Ulysses mentions just one picture (“The Bath of the Nymph”, which hangs over the Blooms’ marital bed). A keen tenor, Joyce conceived his book in musical, not artistic, terms: it’s a veritable encyclopedia of Irish folk song, and Chapter 11 is even given a fugal structure. To make matters worse, we’re never offered a jot of description as to what main character, Leopold Bloom, looks like. As a consequence, many artists – like the conceptualists Lawrence Weiner (with his mural Opus # 843) and Joseph Kosuth (with his neon wall-installation Ulysses: 18 Titles) – opted out of a representational response altogether. They simply filled walls with “word-pieces” derived from Joyce’s prose. The US abstract expressionist, Robert Motherwell, did something similar with the 40 etchings in his Ulysses Suite. Each work verges on the calligraphic and in no obvious way relates to an episode on Bloomsday. Not that the novel lacks vivid scenes for an artist to adapt, though. Far from it. 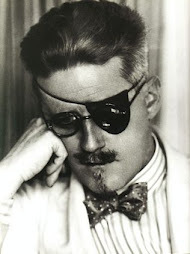 One thinks of the passages that so scandalised Twenties society and saw Ulysses banned on grounds of obscenity in much of the English-speaking world that decade. For instance, Bloom’s masochistic sexual fantasy, in which he’s humiliated by the butch brothel madam, Bella Cohen. Or the closing scene, in which Bloom’s frustrated wife Mollie pleasures herself. Perhaps it’s better, then, to consider Ulysses in relation to an artmovement rather than any one work: namely, Cubism. Braque, Picasso and Joyce were born within a few months of each other, and whole theses have been written about the connections (witting or otherwise) between the Irishman’s work and that of the two painters. Much like a Cubist canvas, Ulysses’s scenes are fragmented, then recomposed in a complexity of experiences and perspectives – to better capture reality as a whole. For Ulysses’s best single artist-interpreter, though, look no further thanRichard Hamilton, the father of pop art. Captivated by the novel during the tedium of his National Service in the late Forties, Hamilton longed to create an etching for all 18 of Joyce’s chapters. By his death in 2011, he had made just eight, but in no way does he leave us short-changed. He tackles the author head-on. For instance, in He Foresaw his Pale Body. Its title quoting directly from Joyce’s text, this is an ingenious view – seen from Bloom’s own eyes and inspired by Mantegna’s Dead Christ – of Bloom stretched out languorously in the bath. And then there’s In Horne’s House, depicting Bloom’s visit to a maternity hospital, when Joyce’s prose adroitly charts the birth and evolution of the English language (through Beowulf, Chaucer, Shakespeare, Johnson, Dickens et al). Not to be outdone, Hamilton renders a group of figures in the hospital waiting-room as an Egyptian relief, Easter Island statue, Bellini madonna and Rembrandt self-portrait: in short, charting the birth and evolution of visual art. Hamilton said that Joyce’s virtuosity in weaving various styles of writing into a rich, literary tapestry influenced much of his own pastiching as a pop artist. It would seem, then, that so long as an artist has the ticker to take it on, Ulysses lends itself to treatment by all movements – whether pop or abstract, cubist or conceptual. 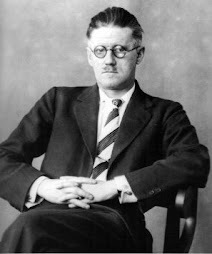 Testament to the sheer, unrivalled richness of Joyce’s text.